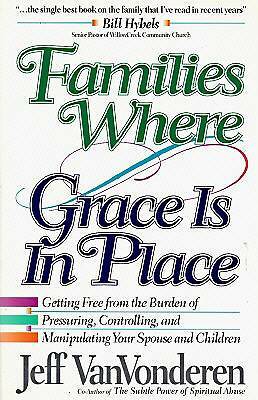 Now updated with discussion guides for families and small groups, Families Where Grace Is in Place continues to minister to couples and parents nearly twenty years after it was first published. Using his professional and personal experience, VanVonderen shows readers how to nurture God-honoring relationships free of manipulation, legalism, and shame. This book is a practical and insightful discussion on living a graceful life and building a strong and happy home using God's tools.